Simplicity is the key to these rustic Bear Trail Quilt Sets. 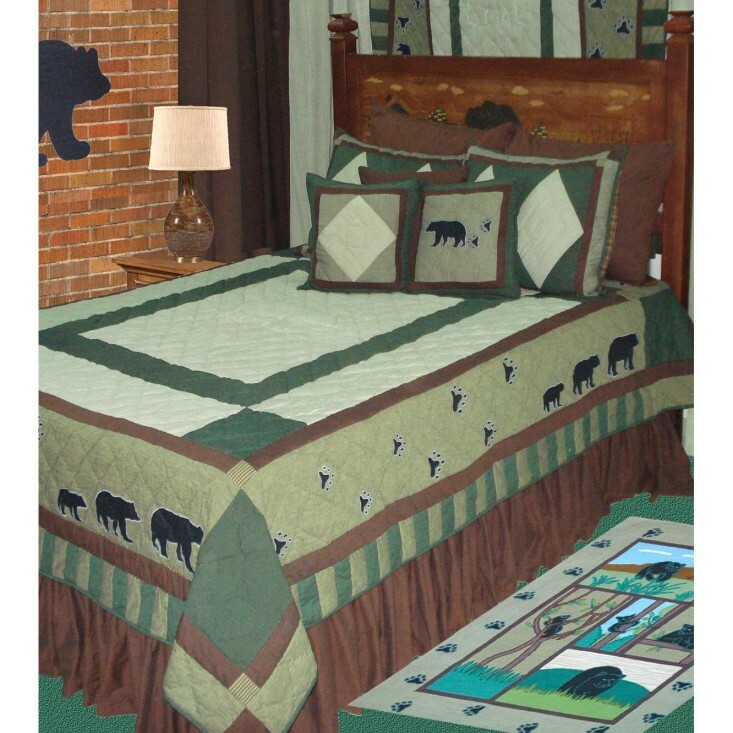 Large blocks of color are accented with applique bear tracks and a family of bears meandering around the border of the quilt. Predominate shades of green with a touch of cream are further accented with the addition of a brown/rust plaid dust ruffle. Your quilt set includes: One quilt, dust ruffle and standard pillow shams (1 with Twin, 2 with Full and Queen and 3 with King)and 2 accent pillows (1 with Twin).